Dolores Jean "DJ" Guitas, 88, formerly of Schuylkill Haven, passed away Tuesday, March 26, at Seton Manor, where she had been a resident. Born in Pottsville on Sept. 11, 1930, she was a daughter of the late Robert and Blanche (Moyer) Hughes. DJ was a graduate of Cressona High School, Class of 1946, and received the honor and title of the one and only "Miss Cressona." 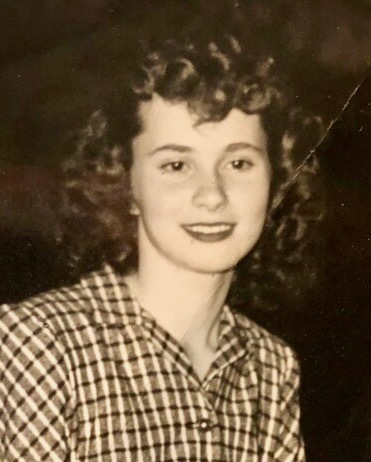 She was previously employed by Nathan's Furniture Store, by Dr. Loper in sales and as a secretary, and she was the owner and operator of the Parkway Bar, Schuylkill Haven. She also owned and operated a flower shop in Florida. DJ was a member of and loved working out at The Racquetball Club, Orwigsburg. In addition to her parents, she is also preceded in death by her former husband, John M. Guitas Sr.; daughter, Carol Lynn Bindley; grandson, Jonathan "Jono" Cresswell; sister, Doris Leonard; and beloved cat, Daisy May. DJ is survived by sons, David Guitas and wife, Julie, California, and Jack Guitas and wife, Eileen, Schuylkill Haven; two daughters, Connie Cherry, Texas, and Diane Cresswell and husband, Jeff, Schuylkill Haven; as well as 10 grandchildren, Benjamin, Kevin and Jessica Guitas, Jennifer Kelly, Leonard and Casey Boyle, Jeffrey Cresswell, and Brett and Cody Bindley and Jason Lassandro; and 12 great-grandchildren. Her family would like to thank the doctors, nurses and staff of Seton Manor for the care and compassion they extended to DJ during her stay. Services and interment will be privately held at the family's convenience. Memorial contributions in DJ's memory may be forwarded to The Eagle Foundation. On the memo line of your check, please note "Jonathan Cresswell Scholarship Fund" and mail to 45 Wilder St., Cressona, PA 17929. Memorial contributions may also be sent to Seton Manor Activities Department, 1000 Seton Drive, Orwigsburg, PA 17961.